Older Gaang. . HD Wallpaper and background images in the Avatar The Last Airbender club tagged: avatar the last airbender zuko aang toph katara sokka. 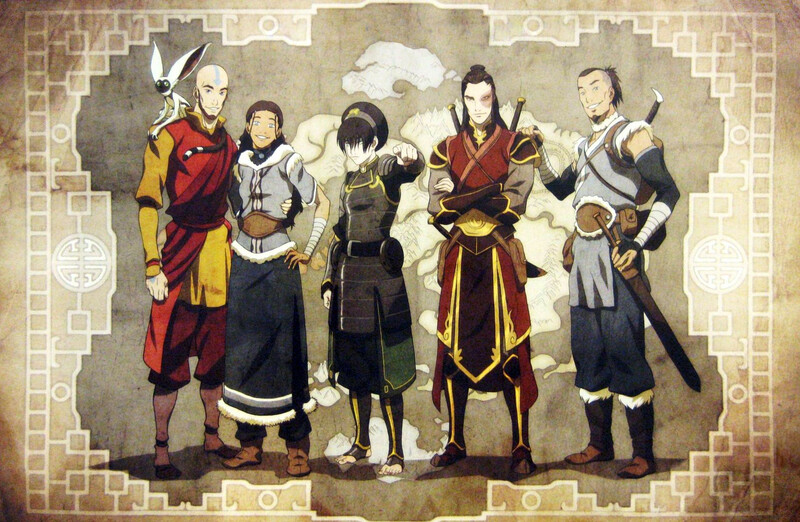 This Avatar The Last Airbender photo might contain surcoat and bandsman. These were posters given out at the 2012 San Diego comic con... I cry because I couldn't make It there! they have the coolest stuff.